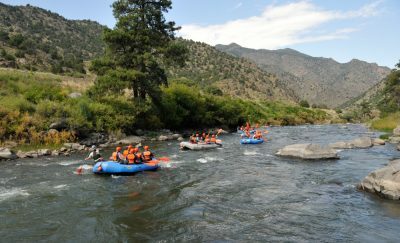 The Royal Gorge Region shines during the holiday season when multiple events and activities help to make lasting memories. The season kicks off with the Parade of Lights. During this Cañon City tradition, local police, fire, and sheriff departments, marching bands, and floats designed by businesses and organizations march down Main Street covered in twinkling Christmas lights. In addition to the parade, the weekend also includes, but is not limited to, a holiday arts and crafts show, special exhibits at the Fremont Center for the Arts, a flag football game, a Turkey Trot 5k run, a holiday home tour, and of course, a visit from the man himself—Santa Claus. For the kiddos, a winter wonderland awaits on the Santa Express Train. Sing along to a mix of old and new Christmas tunes as children dressed in PJs board the train. 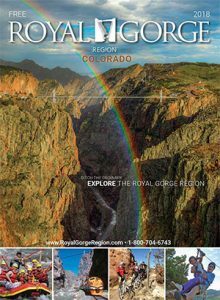 While riders munch on warm cookies and drink hot cocoa, the train travels through the beautiful Royal Gorge before it stops at the “North Pole,” where Santa is waiting. Children are amazed when Santa boards the train to spend quality time with each one of them and hands out special bells from his reindeer. Santa’s elves are on board to make the experience extra memorable and to serve drinks and food from the Royal Gorge Route Railroad’s special lunch or dinner menu. After the ride, peruse the Royal Gorge Route’s gift shop, which is decked out with holiday cheer and is the perfect place to find a gift that perfectly commemorates your wonderful Santa Train experience. 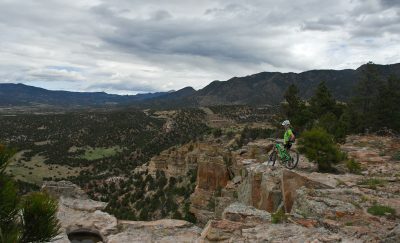 For more information, visit www.RoyalGorgeRoute.com.